Whenever I hear the famous tagline “What’s in your wallet?” used in advertising campaigns, I’m reminded of the hilarious case of mistaken identity of Samuel L. Jackson by KLTA Morning News anchor Sam Rubin. But on a more serious note, have you ever stopped to think more deeply about what IS in your wallet? Perhaps you have a favorite credit card in there. I know I do. Now most people don’t give a second thought to handing over their credit card to the nice waiter at the restaurant where they just had a meal. But when I did the same last weekend, and didn’t get my credit card back after waiting for more than 10 minutes, I grew a little impatient. I went to the cashier who explained to me that their credit card processing system was experiencing technical issues. Not wanting to hold me up, his solution was to write down my credit card number on a piece of paper and charge me later. I thought to myself – how can the credit card system that has existed for over 60 years be so antiquated and unsafe that we can be charged from credit card numbers written down on a piece of paper, when digital technology around us in every sphere has evolved so much? The next thought that occurred to me was what would happen if my credit card information gets stolen from that piece of paper? If your card has ever been stolen before, you can relate to the painful process of restoring things back to normal, which involves reporting your credit card stolen, disputing the fraudulent charges, completing any necessary paperwork, waiting for a new credit card (with a new PAN, expiry date and CVV) to arrive in the mail, and finally updating your new credit card information at every single place where it is on file. The irony is that even after completing all those steps, you are at best back to square one and hoping that it doesn’t get stolen again from any of those places where it’s on file. After having my credit card information stolen and going through the resolution process a few times in the past, you can imagine I was a feeling a little anxious upon hearing the solution that the cashier was proposing. 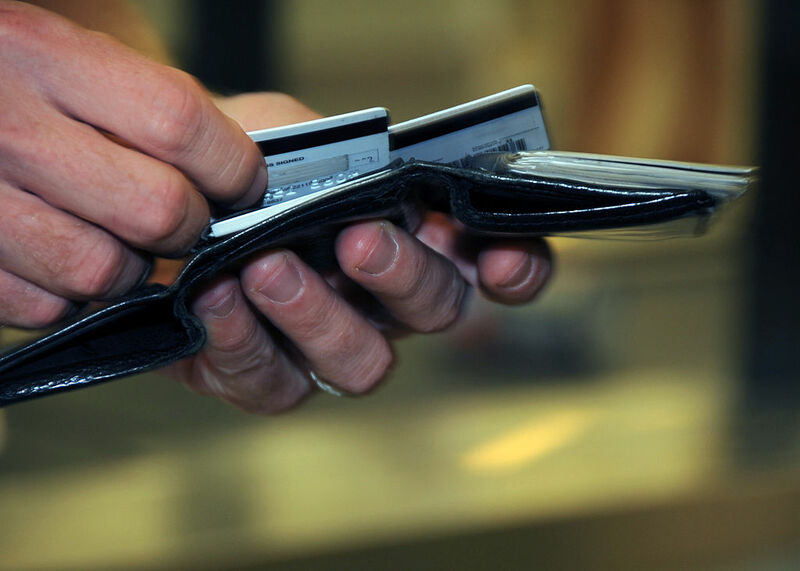 Why do the majority of us continue to carry credit cards in our physical wallet with raw numbers on the front/back of the card that are easy to steal? The credit card information in unencrypted and the physical wallet does not require any authentication before its contents are accessed. Even with the new chip cards, unencrypted information still exists on its magnetic stripe. Why does the decades-old credit card system compel us to distribute this unencrypted credit card information in order to pay for essential goods and services? Finally, why do the provider of these goods and services continue to accept and use unencrypted credit card information without strong authentication and authorization? It’s absurd that such a system still exists in this day and age of technology. I believe there are a couple of reasons why it still exists. Firstly, none of the existing alternative payment methods, such as cash, checks, etc. affords the convenience that the credit card system offers, and thus consumers are willing to trade security for convenience. Secondly, consider the newer alternative payment methods, such as mobile wallets that store (tokenized) payment credentials securely on mobile devices. Although they arguably afford the same convenience level as credit cards without compromising security, it is quite simply very difficult to change consumer’s payment behavior. But that change is already happening, with the entrance of new mobile wallet solutions, which allow consumers to tokenize and digitally store their credit card information and subsequently use it innovative ways. Mobile wallets have existed for several years and a few of those wallets solve a lot of the fundamental security problems that exist in today’s credit card system. Although their adoption has been slow considering how long they have been around, with the considerable investments being made in this space these days by leading technology companies, financial institutions, and venture capital firms, combined with the significant awareness being created amongst consumers, mobile wallets will become an increasing part of our lives. At Minkasu, we are all about solving the pain points in today’s credit card system, with a mobile payment option that combines cutting-edge security technology with ease of use and is appealing to both merchants and consumers. Try us out and let me know what you think in the comments below. So, what’s in your (mobile) wallet?